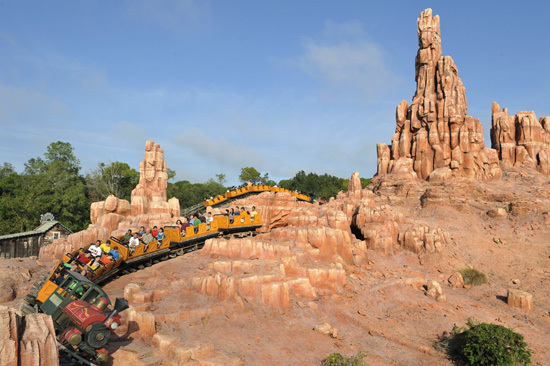 Today we have an exciting update on something new that’s in the works in Frontierland at Magic Kingdom Park –Big Thunder Mountain Railroad is about to get a new interactive queue. We’ve previously shared updates here on the Disney Parks Blog about enhanced queues that have been added to other attractions at the park – these interactive queues immediately allow guests to immerse themselves in the story of an attraction while they wait to board. Such experiences can already be found at The Many Adventures of Winnie the Pooh, the Haunted Mansion, and most recently, Dumbo the Flying Elephant in Storybook Circus.